« A famous American family » made its fortune from the Nazis, according to John Loftus’ documented historical analysis. The more fundamental question is not whether Prescott Bush helped Adolph Hitler (image below). From a historical perspective, what is important is how the rise to power of Adolph Hitler was supportive of US business interests in Germany. What must be ensured to protect American democracy is that none of these « awkward truths » which reveal the crimes committed by prominent politicians be the object of media coverage. Needless to say, propaganda is essential to uphold the legitimacy of presidential candidates in the eyes of public opinion. 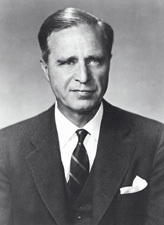 After 60 years of inattention and even denial by the U.S. media, newly-uncovered government documents in The National Archives and Library of Congress reveal that Prescott Bush, the grandfather of President George W. Bush, served as a business partner of and U.S. banking operative for the financial architect of the Nazi war machine from 1926 until 1942, when Congress took aggressive action against Bush and his « enemy national » partners. While Prescott Bush’s « company’s assets were seized in 1942 under the Trading with the Enemy Act, George W. Bush’s grandfather was never prosecuted for his business dealings with Nazi Germany. 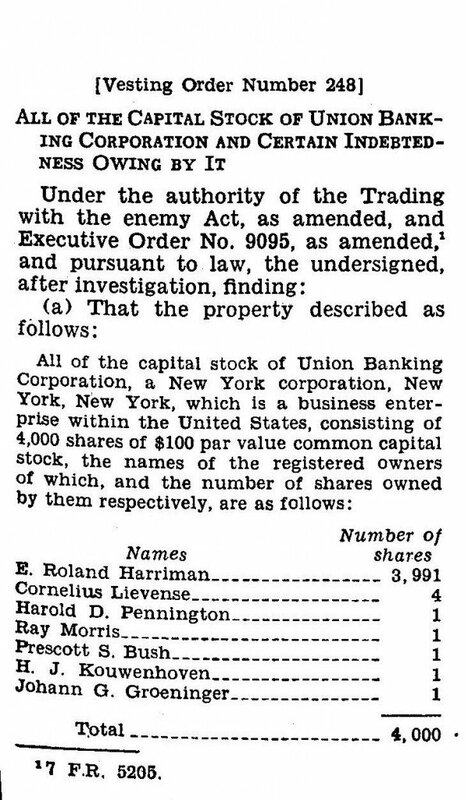 Up until Pearl Harbor (December 1941), Wall Street was trading with the enemy. In the wake of Pearl Harbor, Standard Oil continued to sell oil to Nazi Germany through the intermediation of so-called « neutral countries » including Venezuela and Argentina.